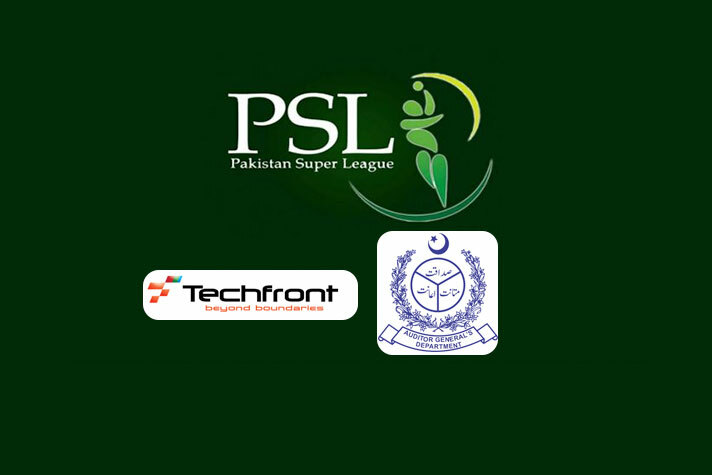 The Auditor General of Pakistan in its audit reports for the first two editions of the Pakistan Super League has questioned Chennai-based company Technology Frontier’s handling of all major contracts. Pakistan Cricket Board’s earlier partner has conspicuously got the Pakistan Super League contracts as well, the Auditor General of Pakistan (AGP) has reportedly stated in its special audit report of the first two editions of the PSL. The report has also pointed out to the losses to the Pakistani national exchequer on account of “avoidable expenditure on engagement of (Indian television production professional) Anil Mohan without open competition”. Pakistan-based news publication, thenews.com.pk has reported that the special audit report of first two editions of Pakistan Super League (PSL) had revealed massive irregularities in the T20 League with the Pakistan national exchequer facing hundreds of millions of dollars loss due to sale proceeds of commercial rights to franchises on cheaper rates. The report has categorically mentioned at least two Indian entities – the firm Technology Frontier and individual Anil Mohan – for awarding the contract without following the procedures. The Auditor General of Pakistan has conducted a special audit report for the first two editions of PSL. The report has revealed that the market value of the PSL was up to $300 million in 2017 but the PCB management sold the commercial rights to the initial franchises in just $93 million in 2015. It may be stated that Technology Frontier had held and distributed the global media rights, excluding Pakistan, for the PSL. As per the special audit report, the cricket board had awarded $14.08 million contract to the same company which was already working with PCB. According to PCB record given to audit authorities, the PSL contracts were not widely advertised in international Press and media. Rather conspicuously, PCB’s earlier partner got the PSL contract as well. It was found that only an Indian firm/consortium – parented by M/s Technology Frontiers – was handling all major PSL contracts. The audit report has also revealed that PCB awarded irregular and non-transparent award to the tune of $57 million to the franchises that were not even qualified for the franchise rights. Bids were invited at a designated email address. In spite of that bids from M/s JW International, ARY Digital and Qatar Lubricants were received in the form of hard copies. It was mandatory for a competing firm to produce financial statement of previous two years (with at least one year’s audited accounts) in order to qualify for the selection process. However, franchise rights for Islamabad United were awarded to British Virgin Island (BVI) based M/s Lenonine Global. The company had no prior annual audited financial statement. Similarly, Salman Iqbal (of ARY Digital) applied as an individual for franchise rights acquisition tender. His bid was entertained even as he failed to meet the deadline for submitting the financial bid. Loss to PCB due to irregular payments to franchises in excess of agreed shares of central pool income for Pakistani Rs248.61 million. Loss to PCB due to irregular award of compensation to the PSL franchises – Pakistani Rs54.49 million. Unjustified auction of franchises causing loss – $11 million. Irregular advance payments to vendors – Pakistani Rs 246.04 million. Extra expenses due to non-charging of venue hiring costs to Central Pool Income – Pakistani Rs306 million. Non recovery of amounts due from franchises – Pakistani Rs 32.05 million. Non-recovery on account of gate receipts from M/s Kayzoonga Pakistani Rs 4.99 million. Loss to government exchequer due to non-deduction of government dues – $255,591. Unauthorised and unlawful transfer of PSL funds in the third party bank accounts outside Pakistan – Pakistani Rs145.14 million. Irregular financial management due to receipts of PCB’s revenue in third party US dollar account — Pakistani Rs166.76 million. Loss due to non-auction of commercial/broadcasting rights Pakistani Rs13.08 million. Wasteful expenditure on account of TA/DA of journalists Pakistani Rs12.64 million. Loss to PCB due to non-charging of branding expenses to central pool income account of PSL Pakistani Rs11.86 million. Irregular and non-transparent award of franchise rights to the unqualified firms $57 million. Non-transparent award of contracts in Dubai to same firm/consortium $14.08 million. Loss due to sale of media rights at a price even lower than the purchase price $0.14 million. Irregular award of instadia media management rights $4.5 million. Irregular and uneconomic award of event management contracts $3.86 million (Pakistani Rs403.94 million). Irregular award of contract for broadcasting rights (excluding Pakistan) $4.44 million. Unauthorised novation of franchise team rights for PSL resulting into financial loss $0.52 million. Irregular award of contract for Pakistan media rights to M/s Blitz -$8.65 million. Irregular expenditure on marketing campaign for PSL-II $1.22 million (Pakistani Rs126.71 million). Irregular and extra expenditure borne by PCB on branding $194,679 (Pakistani Rs 20.34 million). Wasteful expenditure on account of 2nd live feed to M/s Sunset+ Vine during PSL-II $15,000. Loss due to avoidable expenditure on engagement of Anil Mohan without open competition $80,000 (Pakistani Rs8.36 million). Irregular award of sponsorship rights without open competition $1.716 million. Irregular award of contract for catch a crore and YouTube deals to Pepsi $175,000. Loss to PCB due to non-charging of marketing and advertisement expenses to central pool income Pakistani Rs160 million. Irregular award of production services contract and payment of cost overrun $2.9 million. Non-transparent award of media agency contract to M/s Blitz $1 million. Irregular expenditure on account of PSL valuation, commercial strategy and concept development without open competition $810,000. Irregular sponsorship agreement with Pepsi Cola International $250,000. Mis-procurement at exorbitant rates at logo launching ceremony Pakistani Rs 20.24 million. Loss to state due to non-deduction of tax on payments to non-resident parties Pakistani Rs 167 million and resident parties Pakistani Rs 9.43 million. Loss of revenue due to awarding of media advertising (Pakistan region) rights at lower value Pakistani Rs 169.61 million. Unauthorised expenditure due to hiring of legal consultant without approval from the Law and Justice Division — Pakistani Rs 34.05 million. Another unjustified payments to a company $209,881 (Pakistani Rs 21.95 million). Next articleSehwag talks money even on prospect of joining politics!